• The GIBTM 20x20 Challenge - Powered by PechaKucha (26 March 2014, 10:30 - 11:30 Knowledge Hub). This session invites attendees to present in a PechaKucha™ competition (PechaKucha™ is a style of presentation: 20 slides shown for precisely 20 seconds per slide). The audience will vote for their favourite presentation and pick the winner. Those interested in presenting should email abi.cannons@reedexpo.co.uk with a brief overview of their intended topic. • Habits of Middle East Business Travellers (25 March 2014, 16:00 - 17:00 Knowledge Hub) – Sunil Malhotra, Director, Aviation Sector - Middle East & North Africa, Ernst and Young, will be discussing the travel habits of business travellers in the Gulf Co-operation Council (GCC) and will be addressing their travel needs and trends. This is a must-attend session for all those interested in discovering future Business Travel trends in the Middle East. • Using Content Marketing to Promote Your Event or Venue (25 March 2014, 13:00 - 14:00, Knowledge Hub) – This session, delivered by Jordan Boshers, Chief Digital Strategist and Founder, IstiZada, and Farah Isam Batarneh, Online Project Manager, IstiZada, will analyse how content marketing can be used to drive new business through utilising the creation and distribution of relevant and useful content. 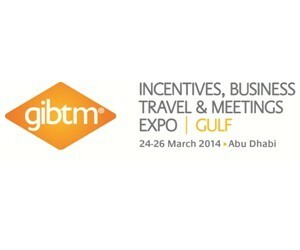 Join GIBTM on LinkedIn, Twitter and Facebook.